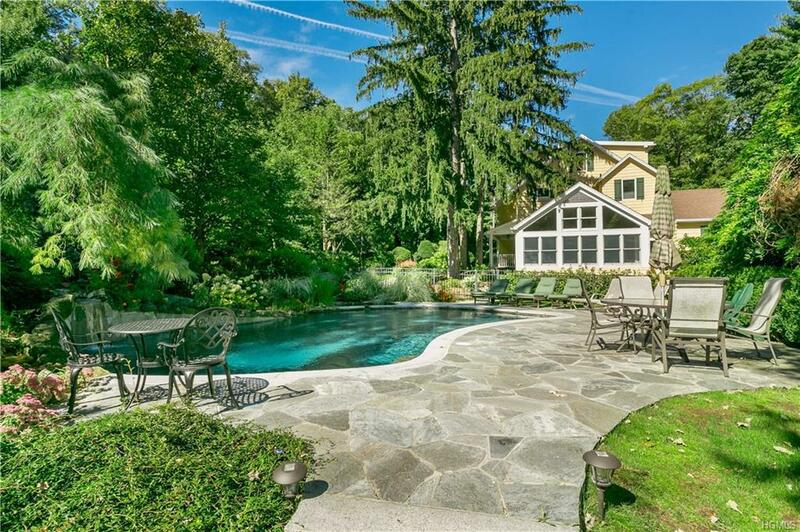 Filled with character, this charming 5 bedroom Colonial in Windmill Farms, is beautifully set on an acre of property with gorgeous tall stone walls, splendid plantings, a magnificent pool with waterfall and spa, and the perfect pool cabana. 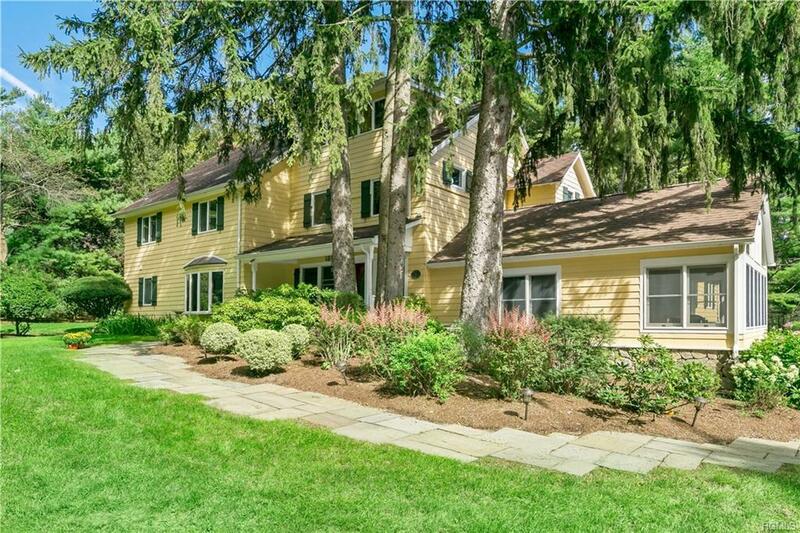 Beautiful wood floors, built in decorative cabinets, doors with leaded glass, and walls of windows distinguish the main living areas which include a sun filled family room with a vaulted ceiling, an impressive living room with decorative paneling and fireplace, a kitchen with fabulous breakfast room, and a dining room with a vintage built in china cabinet. 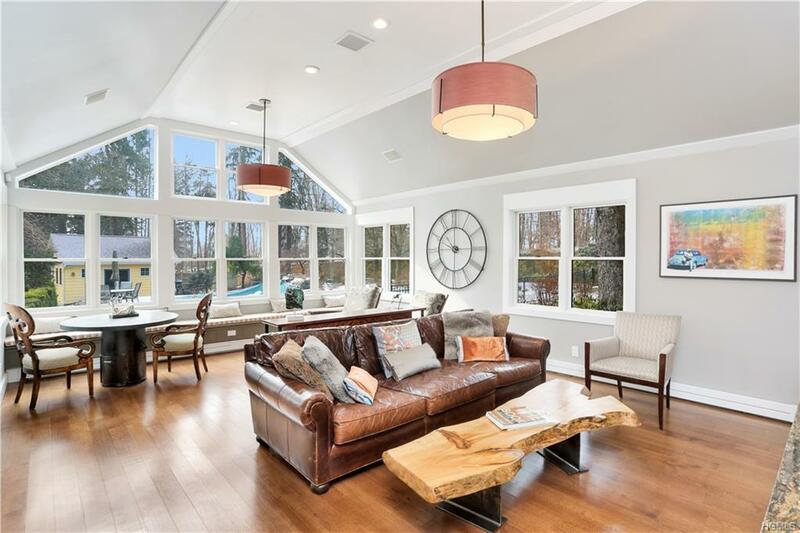 On the second level is the master suite with two closets, and a lovely bathroom with glass enclosed stone shower, plus two additional bedrooms ,a playroom and a bathroom with vaulted ceiling and radiant heated floors. On the third level is an additional bedroom with sitting area, walk in closet and full bathroom. Great home located close to the club, in desirable Windmill Farms lake community. 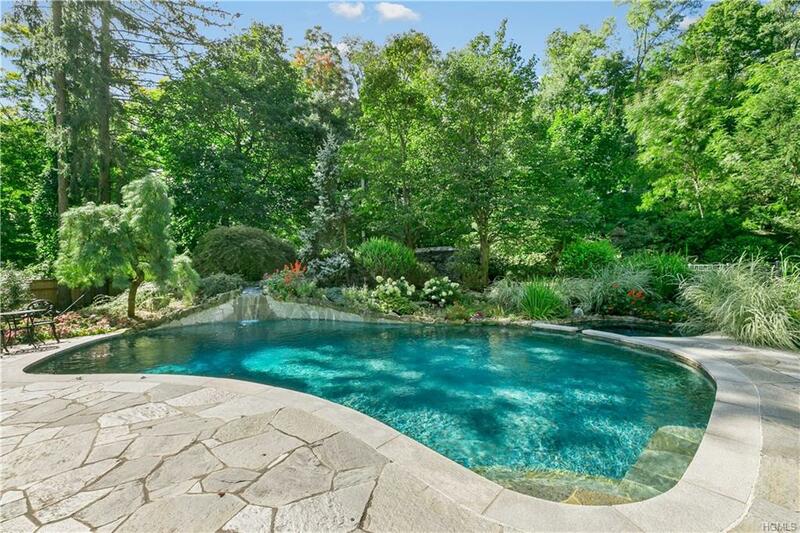 Listing courtesy of Julie E. Schneider of Houlihan Lawrence Inc..